The Wound is a slow build, moving from one area to another, changing and shifting with tones and melody and ensuring the listener gets the full scope of its epicness. Rise From Agony shifts, slithers and hums sweet nothings whilst delivering a powerful embrace. A Cold Day To Face My Failure moves, producing epic choruses and vocal melodies. I Lie In Wait contains similar elements of darkness, harmony and destruction. Don’t Believe Anymore is slower, more ethereal and definitely a damn sight more shiver inducing because of it. In The Lilac Dusk growls and sneers and produces some seriously heavy tones. 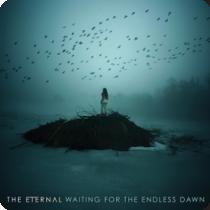 Waiting For The Endless Dawn is a nice contrast to the rest of the album allowing the full symphonic make up of the band to shine through. The album is out August 17th via Inverse Records. 2. What themes were explored on the record? 3. What is your process for song writing? It comes in with a big thumping riff, Hybrid dances and snakes, snarling and growling. The guitars dance and slither around, whilst the energy pounds away. Definitely one to keep an eye on. The single is out now via Inverse Records. Death Is Loud comes barrelling into life, full of energy and strength, producing a nice little galloping rhythm to stick a finger up to conformity. Faster Than Light has some old school 1980s metal feel to it, with swinging riffs, grooving melodies and roaring vocals. Warsaw is an all out assault, fierce riffs, piercing screams and downright headbanging melodies and grooves. Thrash Bang Wallop is a dance between bass and guitar for the all out absurdity and rocking groove. Midnight Fistfight dances, slams and roars. Wellness in Hell is powerful, a mosh pit fury and a scintillating song that pushes all the right buttons. RIP snarls and bites, grooving and snaking around like a mad man. 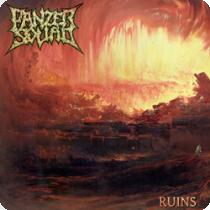 Thrash Metal Symphony snarls and grooves, slinking around like a mad man. Toxic Nuclear War is brutality at its finest. Customized swings and dances. Angel’s East begins with a military beat, before moving into an absolute rocker, with duelling guitar pieces and a duelling vocal line, ensuring that the listener is hooked from the get go. Curse Of Gods is a nice little dance into the darkness of the world, brought to you with soaring vocals and piercing riffs. 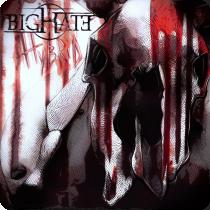 Death Angel has a nice twist and turn to it, never quite settling down in one place. Domino is orchestral, epic and huge because of it, turning and shifting. Eyes of Gray is slower, thoughtful and reflective. Hanging Crown starts with some orchestral flair, leading the way with some interesting twists, as the guitars come powering through, shaping and directing the song. Hell’s Door is a monster of a song, big on the riffs, and powerful vocals. Prisoner of Emotions, the title track has some interesting melodic arrangements and shifts and turns in spits and spurts. Single Thought is folk like, bringing some nice changes and spirits to the fore. Starbringer pounds and grooves, shredding in bits and pieces.